Botanical Interests is giving away 3 gift sets. These sets are amazing sets to help you with your garden this year. Join us as we partner with Botanical Interests. Botanical Interests are my favorite seeds. I have been ordering my seeds from them for some time. I am always impressed with the quality of the produce I get from my plants. Once again this year I have ordered all my seeds from Botanical Interests. This year I’ll be growing onions, carrots, tomatoes, bell peppers, basil, celery, cauliflower, cabbage, jalapenos, broccoli, dill, cucumbers, corn acorn squash, zucchini, and yellow summer squash. We are excited to be partnering with Botanical Interest to giveaway seed collections to 3 lucky readers. Bring Home the Butterflies Flower Mix – Long-blooming, colorful mix supports the butterfly lifecycle. Basic Bounty Veggie Garden Seed Collection – Reliable, favorite vegetables sure to produce a bountiful harvest. Widger – A clever Burgon and Ball tool that expertly lifts seedlings from planting cells. Seed Storage Envelopes – A convenient way to keep track of, and store seeds. Garden Stakes – So handy, easy to read, and biodegradable! 3-inch Paper Pots – An eco-friendly way to start your seeds, and a 2015 Direct Gardening Association Green Thumb Award winner! Lemon Calendula Gardener’s Scrubbing Soap – Refreshes and gently exfoliates after a day of gardening. 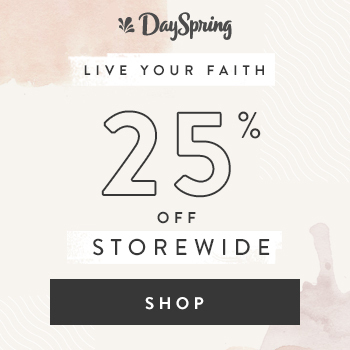 $25 Gift Card – For future online or mail-in orders. Painted Green Steel Trowel – Never lose your trowel in the garden again! Brightly painted to be easily found in the planting bed! 5″ Soil Thermometer – Outdoor soil thermometers help you garden smarter! Correct soil temperatures are essential to germination success. Sun Grips Gloves Medium – Lightweight and comfortable garden gloves. Spacemaster Cucumber – A very compact, bushy plant that won’t take over your entire garden. Ideal for containers. Salad Bowl Blend Leaf Lettuce Organic – A favorite for so many years! If you are looking for just one lettuce to plant, this is it! Thumbelina Zinnia Organic – These charming, brightly colored, button blooms on short plants are perfect for the front of the flowerbed. Herb Garden Seed Tape Kit – Contains 9 varieties including Basil, Chervil, Cilantro, Dill, Parsley, Thyme, Chives, Oregano, Rosemary! $10 Gift Certificate – For future online or mail-in orders. Herb Scissors – Harvest like a pro! Stainless steel blades detach for easy cleaning and sharpening. Kitchen Garden Kit – Everything you need to grow microgreens and baby greens in a reusable and convenient, countertop growing kit. Smoothie Mix Baby Greens – Add this perfect mix of nutrient and antioxidant packed baby greens to your any-time-of-day smoothies. Superfoods Baby Greens – A beautiful blend of healthful veggie greens, high in glucosinolates, vitamins, and fiber; low in calories. Ciao Bella Basil Blend Microgreens Organic – Hello beautiful! As the name suggests, this basil blend has attractive purple and green leaves with wonderful basil aroma and flavor. Be Mellow Blend Microgreens Organic – Living up to its name, this mix gives a delicate flavor boost to all types of cuisine. Theses gift sets are AMAZING! 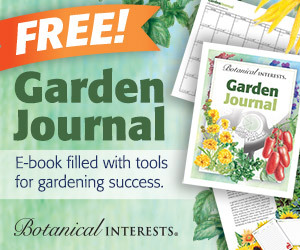 Join Botanical Interests Newsletter at http://eepurl.com/bjZcov, then comment below to tell us you have joined. Follow Botanical Interests on their social media pages. Follow them on one or all forms of social media: Instagram, Pinterest, or Facebook. Leave a comment below with the name of the site you followed, ie. “liked Botanical Interests on Pinterest and Instagram.” Only 1 comment/entry regardless of if you follow them on all 3 sites. Which you totally should anyway. Follow Coffee With Us 3 on our social media pages. Instagram, Pinterest, or Facebook. Leave a comment below telling us which you have followed. This giveaway is open from April 6, 2017 5:00 AM MDT until April 20, 2017 11:59 PM MDT. Note: This giveaway is only available to US residents. Due to national and international agricultural restrictions, Botanical Interests is only able to ship seeds within the United States. Thank you for entering. Could I please get the email address you used for the newsletter? I have subscribed to the Botanical Interest newsletter. I joined the newsletter, liked Botanical Interests on Facebook, and Followed on Instagram and Twitter. I also liked and followed Coffee With Us 3. Thank you for entering. Could I please get the email address that you used for the newsletter? I just signed up for your email and following you on Facebook. I am 68 years old and am looking forward to your catalog so I can order seeds for containers. I subscribed to newsletter. Liked Botanical Interests on Facebook. Following CoffeeWithUs3 on Instagram (@wnrw1176) & facebook. L /F Botanical Interests on Facebook …. I joined Botanical Interests Newsletter. I am following Botanical Interests on Pinterest and Instagram, and Facebook. I am following Coffee With Us 3 on Pinterest, and Instagram, and Facebook. MrsFishGuy followed Botanical Interests on IG and subscribed to newsletter, already following CWU3 on IG and now on Facebook too! Hoops. Jumped Thru. Pick Me! Subscribed to newsletter, followed on facebook,pinterest and instagram..you and botanical interest…would love to finally start a garden.